Root canals are one of the most commonly performed dental procedure in the United States. At Wintergreen Family Dental in Rockville, Maryland, Huixin Wang, DDS, provides root canals to treat infection in the roots of your teeth. If you notice potential signs of infection, such as heightened tooth sensitivity, pain, or a toothache, you should come into the office and let Dr. Wang know. To schedule an appointment, call or use the online booking tool today. Endodontics is the dental specialty that deals with the nerves of the teeth. Root canals are probably the most notorious procedure in dentistry and the most common procedure relating to endodontics. When a tooth becomes infected due to decay or trauma, it’s usually related to the nerves in the root of the tooth. The infected nerves need to be removed. If left untreated, an infection can turn into an abscess, which is a much more serious problem that can cause bone loss in the jaw. First, Dr. Wang numbs the area around the tooth with a local anesthetic to start the procedure. Then, she uses a special dental drill to create an opening in the tooth in order to access the canal. This allows her to carefully remove any infected tissue with small dental instruments. After she removes the infected materials, she cleans the entire canal and fills the space with a sealant called gutta percha. In most cases, a tooth that has undergone a root canal should be fitted with a protective dental crown. This improves the appearance of the tooth, and also makes it much more likely that the root canal is successful. In the days and weeks after a root canal, Dr. Wang makes sure to schedule a follow up with you monitor your progress. It’s important to check and see if any signs of infection have returned. "Root canal" has become a scary term for dental patients to hear, but the benefits of the procedure and advances in dental technology have made it much simpler and far easier to tolerate. Local anesthetics and proper pain medication allow the procedure to be performed with little to no pain in most cases. There may be some soreness following the procedure, but that is normal for most dental procedures. 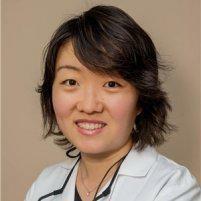 Over-the-counter painkillers are usually enough to relieve any pain afterward, but Dr. Wang may prescribe medication. The procedure also relieves you from pain caused by the infection, allowing you to enjoy all the foods you love without any pain from heat, cold, or biting too hard. 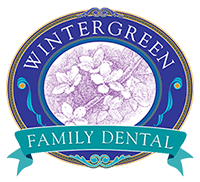 If you’re experiencing any tooth pain that may indicate an infection in the root of your teeth, consult the staff at Wintergreen Family Dental today by calling or using the online booking tool.